Complications aren’t a fun experience for both the injector or the client. However, they do happen, and it is important to be prepared for them. In Episode 24 of the Aesthetics Mastery podcast, Dr Tim Pearce and Dr Adam Cheong of SkinViva Training Manchester discussed how it is best to communicate potential complications to clients. 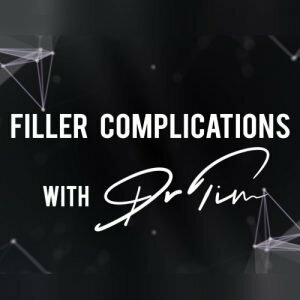 You can listen to the full episode “How To Communicate Complications To Clients” here or watch on YouTube. “If you look at how toxins work, we know what they do. They trim off one receptor in the nerve terminal and that stops the message getting through. There’s nothing to do with the rest of the neuron that we know of”, Dr Tim Pearce. The same as Dr Tim, you know your stuff, otherwise you wouldn’t be in this industry. If you repeatedly say this to yourself, you will eventually believe it. This will ensure you appear naturally confident to your clients. Make sure you build in a conversation about complications within your consultation and consent process. That way, in the event of a complication happening, you can refer to what you spoke about pre-treatment. And the patient will feel more reassured on what to expect. “There is more chance of having anaphylaxis to medication prescribed by your GP than going blind from filler”, Dr Tim Pearce. Think of this situation the same as if someone buys some Paracetamol. The small print side effects are endless. You know the likelihood of something going wrong is slim, so don’t let them scare you. SkinViva Training Ltd offers a diverse range of professional training courses for cosmetic and medical skin treatments. Their courses in cosmetic treatments directed at suitably qualified medical professionals* who wish to learn and build on their skills in delivering these procedures (*subject to meeting SkinViva Training’s entry criteria). See our full list of upcoming training course dates. SkinViva Training was established in 2013 by Dr Tim Pearce MBChB BSc (Hons) MRCGP. 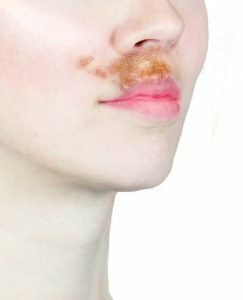 The SkinViva Training team upholds a high standard of clinical training, providing a combination of fully-supervised practical experience together with essential theoretical learning.